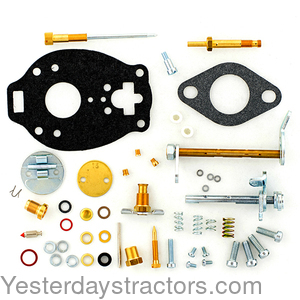 Description: Comprehensive Carburetor Kit For Marvel-Schebler: TSX159 (Allis Chalmers part number 222089), TSX422 (Allis Chalmers Part Number 224750). Contains all parts shown. For tractor models W, WC WD and WF.